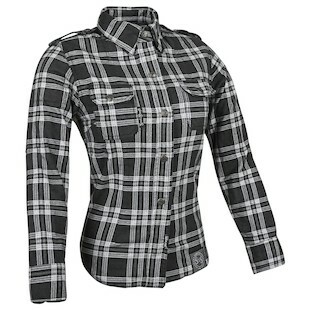 The Speed & Strength Smokin’ Aces collection gives women riders another choice when it comes to casual motorcycle gear. I think this collection is also great for the cafe racer, V-twin or custom bike crowd. It just comes down to what you want to wear when you ride. The Speed and Strength Smokin’ Aces Shirt is for the casual crowd. It’s made of a cotton-poly blend but the shoulders and elbows are reinforced with Kevlar fiber thread. With a form-fitting profile, the Moto Shirt would look fantastic underneath your Speed Society Leather Jacket. The fit is on the long and lean side, with slightly longer arms and overall length. 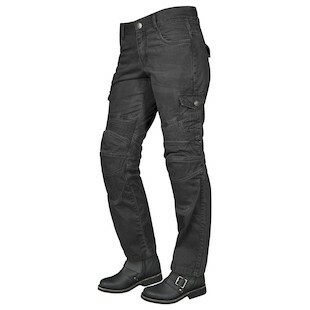 Of course you’ll need a pair of riding jeans to go with your new Moto Shirt! The Speed and Strength Smokin’ Aces Pants are also form-fitting and have a very flattering fit. They have a straight leg with articulated knees and removable knee armor. Upgrade these with a pair of D3O Knee Pads to make them ready to ride. The knees and seat are also reinforced with Dupont Kevlar fiber thread for a little extra strength. The cargo pocket on each leg makes it easy to stash some ear plugs, a few bucks and a credit card. To complete the outfit, you’ll want the Speed and Strength Smokin’ Aces Boots. 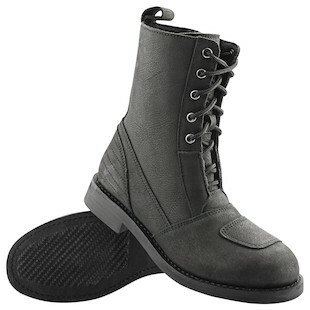 These are styled for an ultra-casual look, but feature toe shifter pads to help with wear and tear while riding. With the extra ankle protection, toe reinforcements and anti-slip rubber outsole, you’ll also gain a bit more protection.